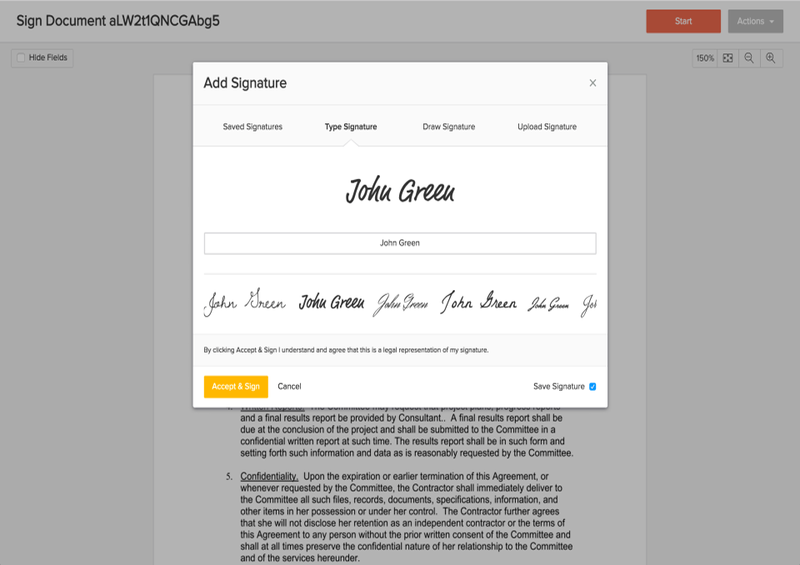 Smart Templates, eSignature API, In-Person Signing, Document History, all in one place — For Free! 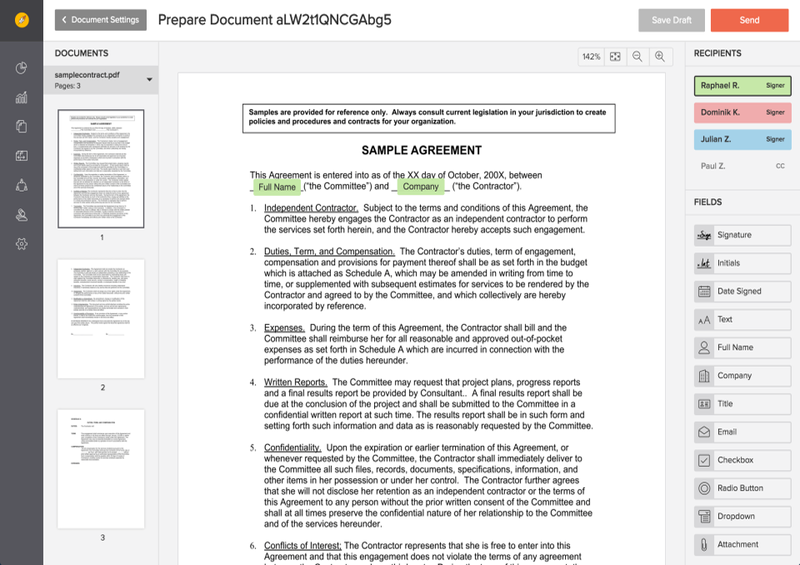 Use Docracy & eversign to privately sign your own documents. What did you sign with that freelancer you worked with on the video job last year? Where is that signed document? Who owns the rights to that video? Stop searching through emails and files to answer important questions about your business. 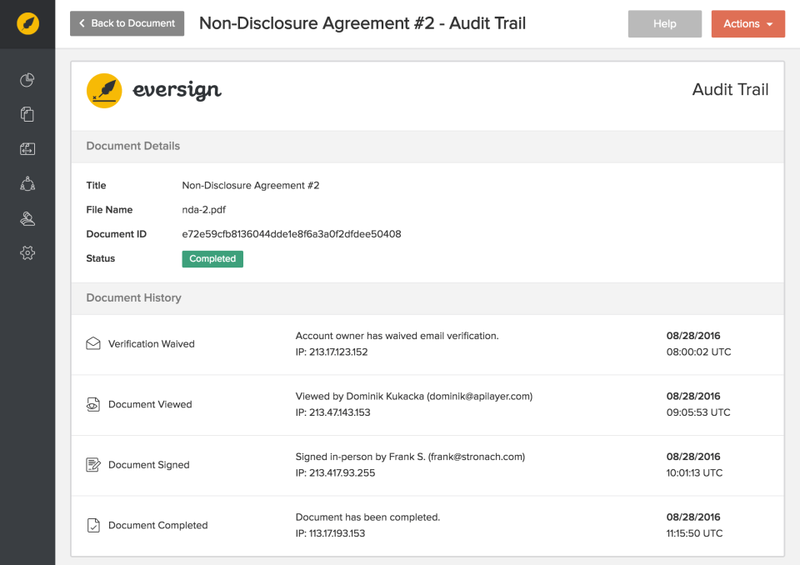 Start signing with eversign and get signatures faster, while keeping everything organized and in one spot. Create reusable documents for common situations. Easily reuse examples from our library of community sourced templates. Quickly allow anyone to sign a document by just sending them a link. Great for waivers and other standard forms. Keep all your important signed documents in one place. Know what template each one was based on, how it changed, and why.